As my kids have gotten older I have had fewer excuses to do the “fun stuff” like this and I miss it! 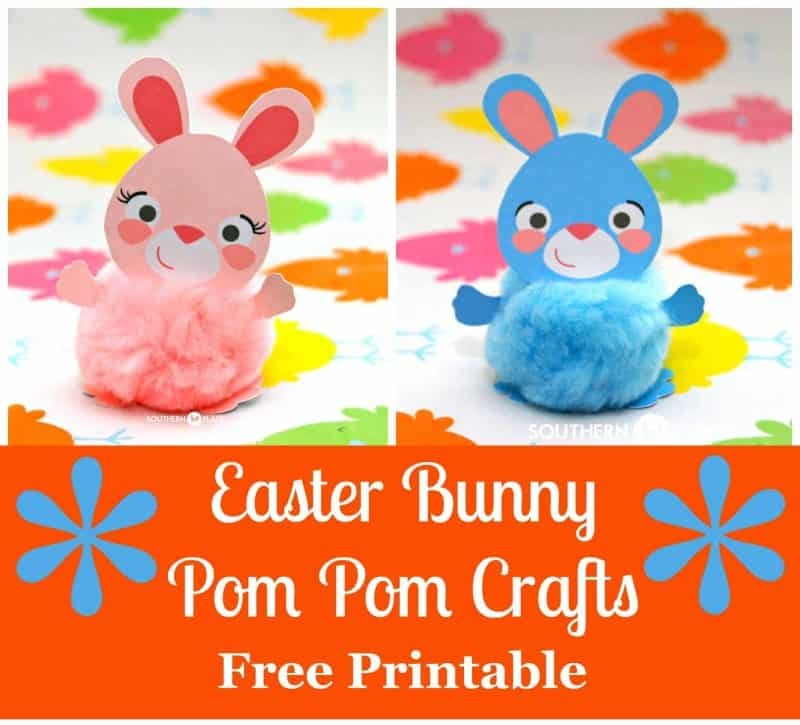 So today I’m sharing a quick and easy Easter craft that is PERFECT for a class project, Sunday school, preschool class, or my favorite – a family get together. 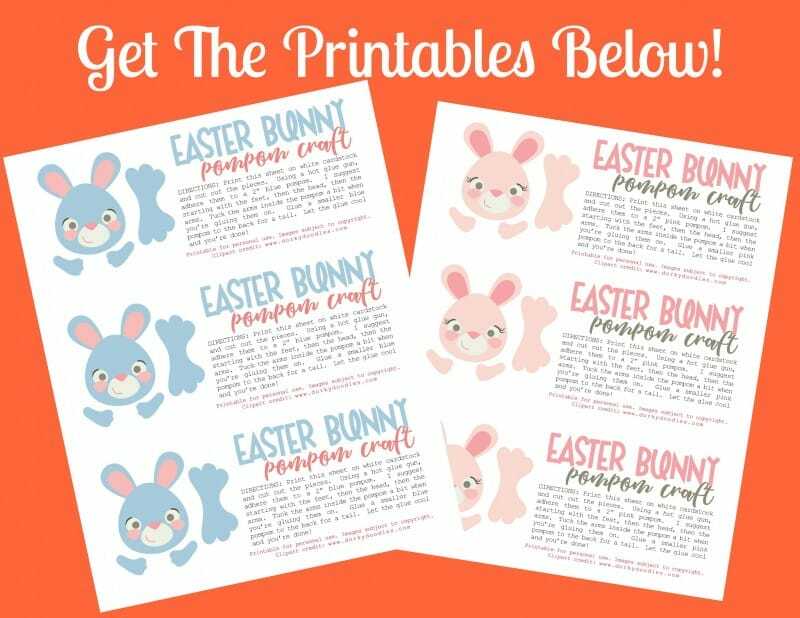 Simply print out the printables you’ll find at the bottom of this post onto white card stock, cut them out, and follow the directions below! 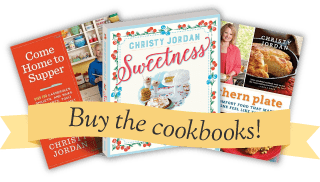 Please feel free to share this post with a friend who might enjoy it! Print the sheet on white cardstock and cut out the pieces. Starting with the feet, hot glue the pieces onto the pompom. Adhere the head next, kind of tucking it into the pompom so that it stands up a little (but not so much that it covers too much of the head). What a cute idea Christy! These are so cute! Thanks! But both printables are pink! I can’t find the blue bunny! Let me go fix that, just a sec! 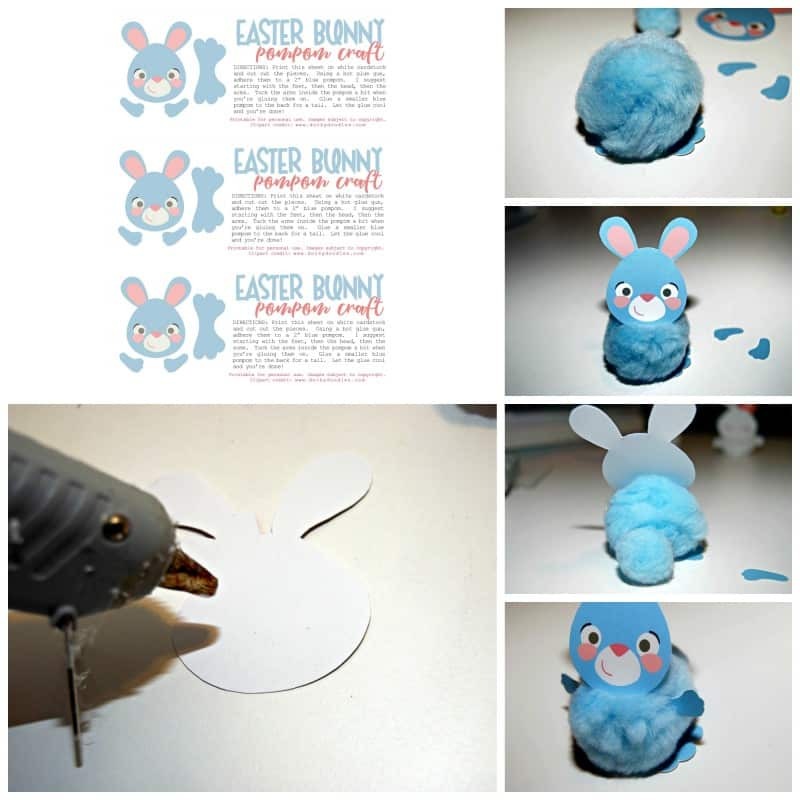 Cute idea – and it will be fun on the Easter table! Thanks for sharing it. Hey: On both links is just the pink bunny; how can we get the blue bunnies? Oh wonderful! THANK YOU!!!! Have a wonderful day. Hey! I fixed that a little over an hour ago. Just double checked and it’s still fixed so if you try again it should work. Sorry about that! Oh Christy , these are sooo adorable , i just love them , and so easy to make with the grandkids , thank you so much , and God bless you. I hope you and the grandkids have a grand time making them!!!! Oh what FUN – Thank you so much for yet another gem from your marvelous creative mind, dear Lady ! I do have , what I hope might be, a quick & easy favor to ask when you have a few minutes. Might you possibly have a version with *no* color = a black & white outline one you could post? As always, many MANY thanks for all you do – May the blessings you share return even brighter ! My printer has the option to only print in black and white, you might check the settings on yours and see if you have that option as well. Most printers do. *g* Yup – that’s exactly what we did, Christy ( I knew I had a brain around here somewhere ! ) and now have a colorful bunch of bunnies hopping all over the place = Perfect craft for a gray day ! Again, thanks SO much and all the best to you and yours – God Bless ! What a great idea. !